Dramatically elegant, this Savona server will brighten the dining experience for all who enjoy it. 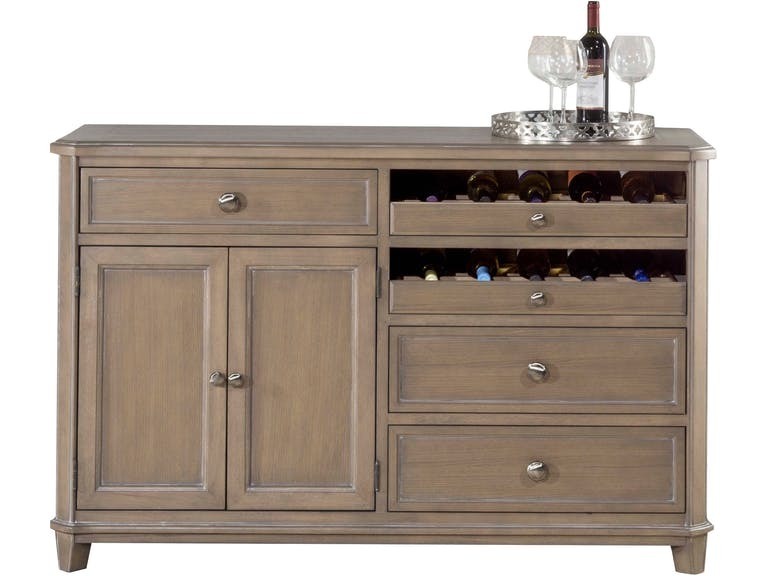 Constructed of wood with a lovely vintage gray finish, it has ample storage and display space for your needs. It can hold up to 10 bottles, with 3 drawers and 1 cabinet with a shelf making it as practical for the dining area as it is stylish.